As long as water isn’t leaking through the roof, you probably don’t give too much thought or concern to your home’s drainage. However, considering that water damage is the leading culprit of foundation problems and is responsible for millions of dollars in repairs each year, it’s important that you take steps to correct the drainage around your home. Consider some of the ways in which poor drainage can damage your home and then contact a drainage correction company in San Antonio to prevent major problems down the road. If you have a basement, puddles or pooling water around your home’s foundation can eventually result in expensive water damage to your basement. Depending on the age and condition of the basement walls, the water that percolates through the soil can find its way through tiny cracks and holes around the basement. 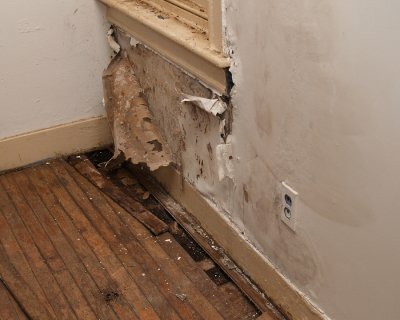 The added moisture can facilitate mold growth and further structural damage that can increase the risk for flooding, which itself can be expensive considering the water damage to furniture, electronics, and anything else you have in your basement. The most serious threat from poor drainage is to your home’s foundation. In addition to pooling around your foundation and causing it to deteriorate over time, water that doesn’t properly drain away from your home can also cause the soil directly underneath your home to expand and contract. The shifting, swelling, and settling of the soil can cause the foundation to crack, which in turn can threaten the structural integrity of your entire home. If you recognize any of the warning signs of foundation damage , contact a foundation repair company to learn about your repair options and how drainage corrective services can prevent further foundation problems. To prevent these and other problems associated with poor drainage, contact a foundation repair provider in San Antonio who specializes in drainage correction services, which might include basement waterproofing, French drain installation, under-slab tunneling, and slop correction.